A super hero needs a hide out! 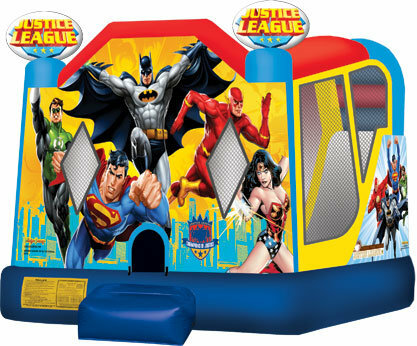 Has a bounce area, climb area and a slide inside. Brightly colored and all of the Disney licensed characters on front and inside. Don't be fooled by imported knockoffs, get the real deal and make your party super awesome.